2017 Top 40 Under 40: Lincoln Saunders, 33 | 2017 Top 40 Under 40 | Style Weekly - Richmond, VA local news, arts, and events. 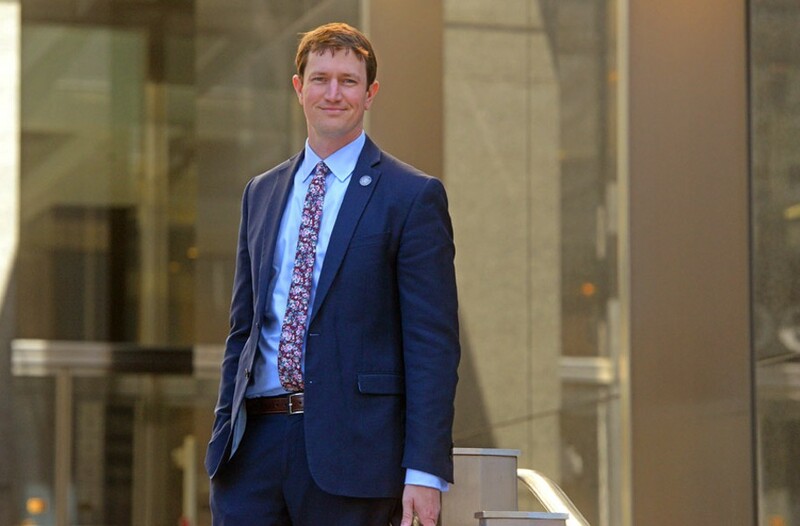 Before he had even graduated from the College of William and Mary in 2006, Lincoln Saunders already had dipped his toe into state and local government — he worked as a legislative aide at the Virginia Capitol for two sessions and for state Sen. Creigh Deeds' campaign for attorney general. He touched a few more political stepping stones before going to Indiana for a master's degree in public affairs. It was there, he says, that he learned about hunger and food access as a critical public issue. "I worked for Indiana food bank, and so that's where I got to learn the food issue in depth. Once back in Virginia, in 2014, the Northern Neck native was hired as the chief of staff for first lady Dorothy McAuliffe, whose focus was to address how hunger affects children throughout the state. Working with McAuliffe, Saunders says, "We really dove in with both feet on how could we build a system to effectively end childhood hunger in Virginia." He adds, "Food is not just an issue of health but it's an important foundation for education." Now, another political season later, Saunders is part of Richmond Mayor Levar Stoney's administration — another chief of staff role — and is clutching many of the same issues as the mayor pledges to "build one Richmond." Saunders says his mission says is "finding the policies in the areas that need to be addressed to create the equality of greater opportunity in Richmond."